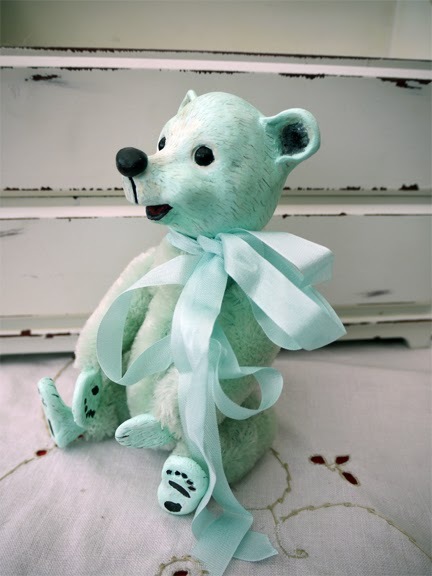 Teddybuys Artist Teddy Bears: A Knock on the Head! A Knock on the Head! Unfortunately, I had an accident in the garden two weeks ago that left me with a head injury and concussion. I am gradually improving, but have been told it may be several weeks before I get back to full health. In the meantime, Mike suggested I try occupying myself with something crafty, but undemanding. 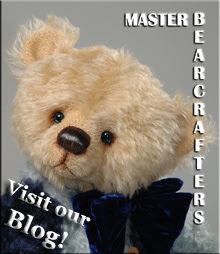 I have wanted to create an album or journal of my bearmaking for ages, but I never got around to it. I picked up a sketchbook and have decorated the cover over the past few days. I created some embellishments in polymer clay. 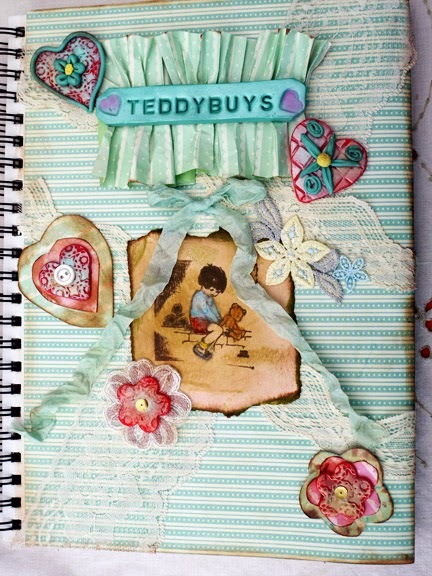 I used papers, lace, sequins, ribbon and buttons from my stash and used a Lucy Atwell stamp that I hand coloured and aged. All good fun! Now I can start adding some photos of my creations! Before I took the hit on my head, I had just finished little Minty. He has been sitting patiently waiting to have his photo taken. He is a happy little chap...about 9 inches tall...I think. He stands nicely unaided. His head and paws are hand sculpted and painted by myself. He has glass eyes. I have started sculpting again in the last couple of days, but I can't do much before my head starts to ache, so it is slow progress! Take it easy Sue and get well. Your journal and bear are a delight. That's too bad about your head, how scary that must have been. I love your journal, especially the center image of Christopher Robin and Pooh. It is such a wonderful idea to make this book, it will be a treasured reminder of all the beauty you created. I also love little Minty. 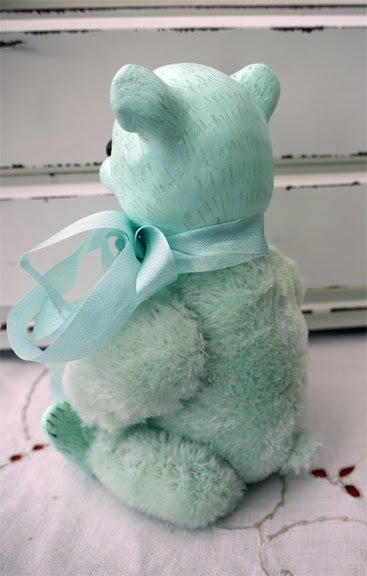 These bears with the sculpted heads are really adorable. Thank you Joanne. I never thought anything like this would happen to me. Just a moment's stupidity. So glad you like the bears. I love them too! 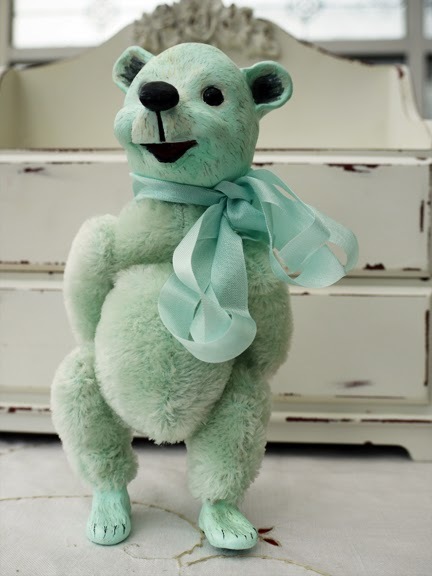 Bear minty is such a cutie..i like it!